CC Sabathia, who has pitched well all year and especially of late, could be a key factor for the Yankees in the ALDS against his former club, the Indians. 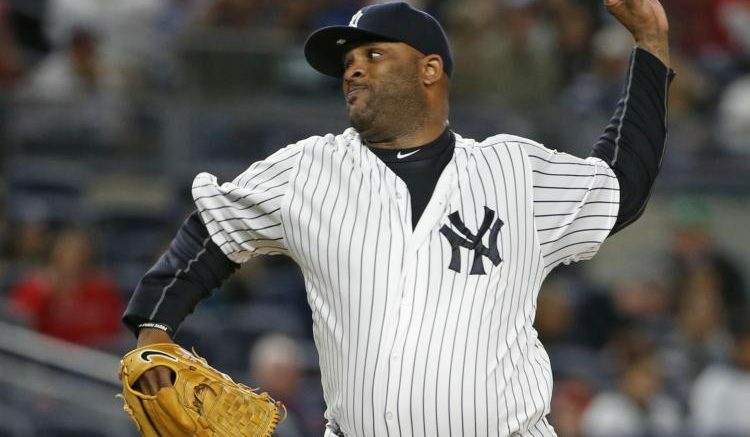 New York – CC Sabathia, SP. Is it any surprise Sabathia is bringing back retro CC in a contract year? You remember what he did for the 2008 Brewers on the cusp of getting a mega-deal from the Yanks, which he is still making good on. Sabathia has quietly been one of the league’s better starters this year, especially of late. With Luis Severino down for the count until Game 3, Sabathia could factor in to the Yanks stealing one (or possibly both) games at Progressive Field. Look even deeper than his 14-5 record and 3.69 ERA in 2017: he is 3-0 with a 2.55 ERA in his last three starts, all big playoff-type games for the Yankees when they’ve needed him the most. Sabathia would love to show his old teammates in Cleveland that he’s found the fountain of youth (or at least 2007), and he knows he doesn’t have to carry the whole load with the team’s lights-out bullpen behind him. His overall career postseason track record isn’t exactly spotless (9-5, 4.53), but his Division Series resume is certainly sparkling. The burly lefty is 6-0 with a 3.24 ERA in that round, including a dominant complete-game effort in his last such outing in Game 5 of the 2012 ALDS against Baltimore. Look for Sabathia to be effective and give the Yanks a chance to hang right there with the 102-win Indians. Cleveland – Austin Jackson, LF. Jackson was a revelation just one year removed from a homerless season with the White Sox in which he played in just 54 games. A savvy vet with postseason experience (and postseason experience against the Yankees, to boot), Jackson hit .318 with seven homers and 35 RBIs in 2017. He went 6-19 (.316) in the Tigers’ four-game ALCS sweep of the Yankees back in 2012, and hit a home run off of valuable Yankees swingman Adam Warren in the Bronx in late August. With Michael Brantley’s health still in question, Jackson’s presence at the top of the Tribe’s lineup could be a huge factor as Cleveland’s offense tries to match blows with baseball’s highest-scoring offense. Boston – Eduardo Nunez, IF. Nunez’s sprained PCL is obviously lingering more than initially thought, but he should be good to go by the time the ALDS starts on Thursday. He has quietly been one of the best trade-deadline acquisitions of the year, even though it’s been tough for John Farrell to find a position for him. Nunez made quite an introduction to the ALCS scene back in 2012 with a shutout-busting, ninth-inning home run off of Justin Verlander. The two will meet again in 2017, and Nunez is quite the all-around player. His incredibly-low strikeout rate only adds to his value, and his speed gives Boston’s offense yet another element to wreak havoc on Houston pitching. Again, his knee has been an issue, but if healthy and in the lineup, Nunez, who is batting .321 with eight homers and 27 RBIs in 38 games since being acquired from the Giants, could be a big-time table-setter for the Sox. Houston – Josh Reddick, RF. Let’s keep with the theme of picking X-factors who enter this series with health concerns. Reddick is eager to get back into the lineup, against his former team, no less. What’s interesting is that Reddick, who batted .314 with 13 homers and 82 RBIs on the year, did not play in any of the seven regular-season meetings against Boston, but his contributions could have added importance when you consider the Red Sox feature a lefty-heavy rotation (and that’s not even including Price, who will be the team’s ace-in-the-hole out of the bullpen). Reddick actually hit one point higher (.315 compared to .314) against southpaws this season. He is dealing with back issues, but manager AJ Hinch does not believe it to be serious. Other possible X-factors who deserve honorable mention: Chase Headley (Yankees), Danny Salazar (Indians), Christian Vazquez (Red Sox), Marwin Gonzalez (Astros). Be the first to comment on "CC, Nunez Headline Potential ALDS X-Factors"